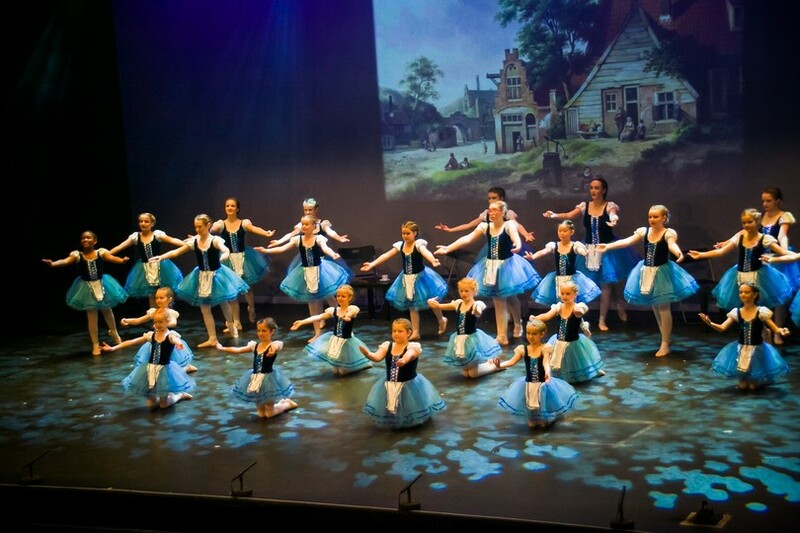 For those with a really huge amount of natural ability and dedication, the study of ballet as a child can result in going on to professional training and joining a ballet company. However, for the thousands of people who study ballet at once or twice a week classes through their childhood and teens, the physical benefits and enjoyment they gain are tremendous, even though they never wish to become professional ballet dancers. Learning ballet is beneficial as a basis for all other dance forms. It is often used by sports men and women as an additional form of training in balance and posture. Here at SPSD we teach the ISTD Imperial Classical Ballet syllabus. This syllabus was first written back in 1913, and was based on the French School of ballet from the Paris Opera. The syllabus has evolved to promote the English classical style and addresses the changing needs of ballet dancers today. Children who attend class regularly and who wish to be entered for the childrens' grade examinations, will do so with the ISTD. Rock and Roll is fun, lively and danced to modern and traditional rock n roll songs. One of the many Jive dance styles, Rock ‘n’ Roll is fun, energetic, athletic and can be performed socially or as a competitive dance. This dance has something for everyone, and is performed to great music with and without a partner. Many of our adults love to learn rock n roll to dance at a party. It can be danced to modern music as well as traditional rock n roll songs and danced in a relatively small space. Rock and Roll and the intermational style of rock and roll is also very popular with all the children that attend a freestyle class. They learn rock n roll within the class and many of them go onto dance it competitively as they love the acrobatic moves in the routine. Lyrical is an intense form of dance expression. It incorporates the elements of Jazz and Ballet into one harmonious dance style. Interpretations of various pieces of music bring emotion and choreography together to form an expressive story using your body. Technical training is highly emphasized. Contemporary dance is a style of dance that emerged in the 20th century as an outgrowth of modern dance and other 20th century dance techniques. Unlike traditions such as ballet, contemporary is not associated with specific dance techniques, but rather with a dance philosophy. In contemporary, dancers attempt to explore the natural energy and emotions of their bodies to produce dances which are often very personal. Contemporary dance places a heavy emphasis on the connection between mind and body, with dancers being encouraged to explore their emotions through dances that push against traditional boundaries. This style of dance often involves a great deal of playing with balance, floor work, fall and recovery, and improvisation. In contemporary dance classes, students learn to use their bodies in a variety of ways, and they focus on breathing, posture, and emotional state to establish a mind-body connection. This style of dancing is most popular amongst the younger students of the school because it is fast, fun and exciting. It is a very artistic style of dance, which co-ordinates accentuated body movements together with a number of arm, head & hand movements. This allows the individual dancer freedom to express themselves. Freestyle dance is an extremely high energy style of dance, and involves a lot of traveling round the room together with movements performed on the spot. It encompasses speed, agility, suppleness and strength. Students are encouraged to develop their own individual style as well as working together as a team. We teach great routines to the latest chart sounds for all ages and abilities from 3 upwards. 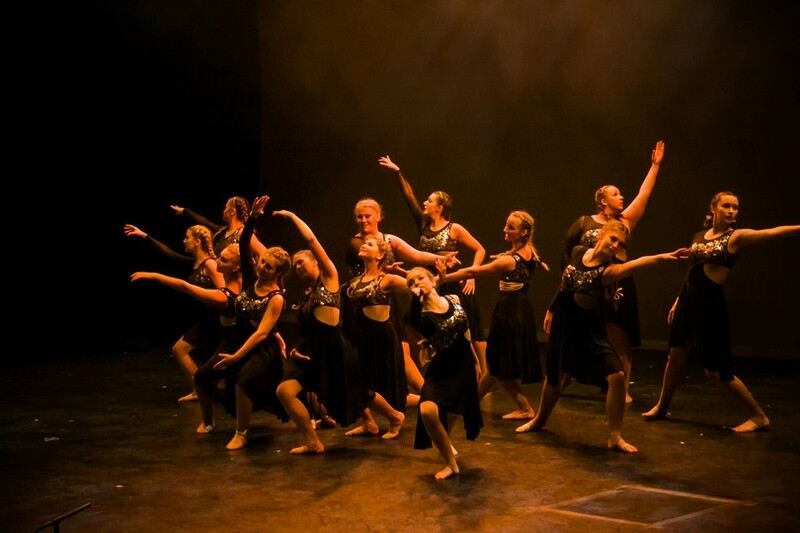 As a cousin to Musical Theatre, Jazz dance emphasises a strong technical foundation that enables a dancer to focus on the stylistic and performance aspects of dance. Technique is essential for leaps and turns, where correct posture is essential to properly execute such moves. Also, jazz dancers strong and sharp movements are greatly aided by a good background in ballet technique. However, while ballet movement emphasises the upbeat of music, jazz dance emphasizes the downbeat. Centre control is important in jazz technique. The body centre is the focal point from which all movement emanates, therefore making it possible to maintain balance, while executing powerful movements. Street Dance is the modern emergence of Disco and consists of choreographed routines to popular music. This style has increased in popularity over the last few years to become the dance style that everyone wants to do. Danced to a huge variety of music from hip hop to reggae, pop music to Latin, it is also a fun way to keep fit through the energy of the dancing. Other dance styles under the Street Dance umbrella, include break dance, popping, locking, hip hop, new style, house dance and electro dance. As the name suggests this comes from 'the streets', and has a strong urban feel. Movement 'Isolation' of the body and rapid choreography are combined to deliver an 'earthy' presentation. This discipline crosses over into "hip-hop"
Hip Hop dancing also has a huge following and can combine some of the easier break dancing moves with high energy jazz and street dance. Thanks to the continuing huge popularity of the hit TV dance show 'Strictly Come Dancing', Ballroom & Latin American dances have been revitalised in the nations' psyche. It is so popular and has given people of all ages a chance to meet in the 'Ballroom' again and socialise in a relaxed environment and share their love of dancing. We teach the 5 main Ballroom dance disciplines, Waltz, Foxtrot, Quickstep, Tango, and Viennese Waltz along with Social Rhythm, also known as Social Foxtrot. We also teach the five Latin dances comprising Rumba, Samba, Paso Doble, Cha-Cha-Cha and Jive. Musical theatre has its roots in the early UK ballad operas, John Gay’s Beggar's Opera commonly given as the birth of song and dance shows. Early musicals often known as musical comedies or revues, were not very strong on a story but they were on songs, ensemble and dance. George and Ira Gershwin’s. Lady Be Good is a typical example of a show where there was little in the way of a plot but it contained some memorable standards; 'The Man I Love' and 'Fascinating Rhythm'. In 1927 Oscar Hammerstein & Jerome Kern collaborated in a show called 'Showboat' which offered a strong story in the form of a social issue, and incorporated dance rhythms with a touch of blues. In the following years to the end of World War II, this style was taken forward by Richard Rodgers, in association with lyricists Lorenz Hart and later Oscar Hammerstein. In 1945 the integration of song and plot was further advanced by the Rodgers and Hammerstein partnership on Oklahoma! Previously to this show the song was used to comment upon the story, with the plot stopping and the characters singing, but in Oklahoma the songs integrated more fully with the story to form the basis of what is generally known today as 'Musical Theatre'. So, it combines music, songs, spoken dialogue and dance. 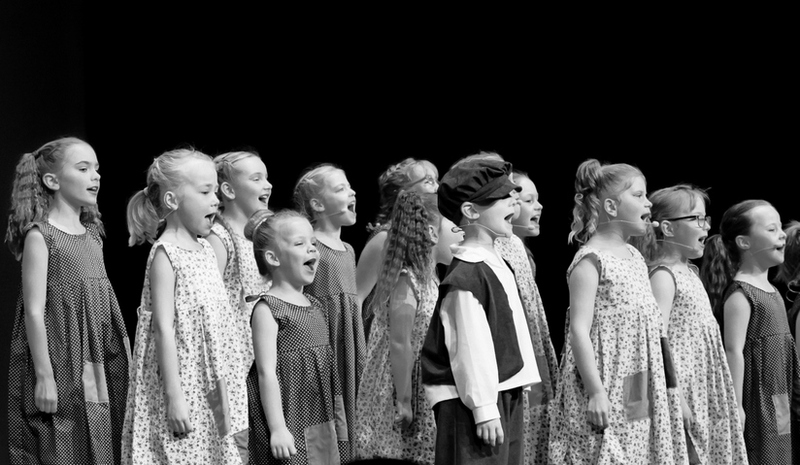 In our classes we cover all aspects of West End Theatre through to Disney classics, and powerful ballads. Classes are fun, dynamic and hugely interactive. Ballet is the classical performance dance which originated in the Italian courts in the 15th century and forms the basis of many other forms of dance performed today. It includes elaborate gesture and expression, and a ballet in performance will tell a story, without the need for words, either spoken or sung. The study of ballet as a child develops strength and coordination through technically specific, controlled movement. Ballet will develop good posture, physical confidence, self-discipline, and an understanding of different types of music and rhythm. The ISTD Tap syllabus was totally re-created in 2008, with some of the higher grades still being re-vamped now. The new syllabus is completely up to date with current styles of Tap, and offers an exciting way to learn Tap - through the use of rhythm, fun exercises and upbeat music. Children can start Tap from the age of 5, and like Modern, start with the Primary syllabus. Tap dance offers a chance for pupils to develop their sense of rhythm and timing, work to create clear sounds, gain accurate placing and technique, and the most important part for children...Be loud without being told off! 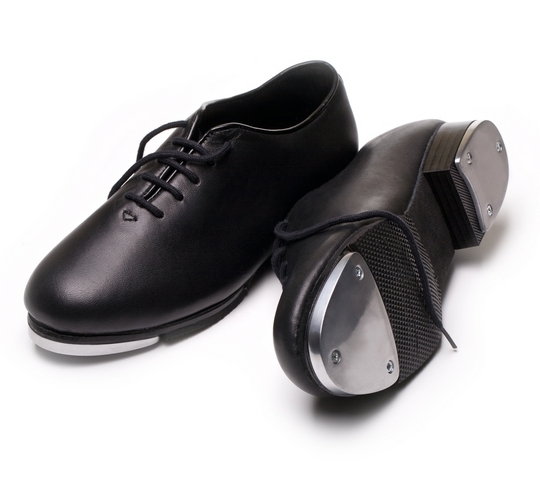 Tap requires the dancer to use their feet to strike the floor, beating out different rhythms, with dancers wearing tap shoes which have small metal plates on the toe and heel to give the distinctive sound. Tap dance is a theatrical art form often seen on stage in musicals. Tap dancing helps develop a sense of rhythm and timing which benefits all types of dance, and is fun to learn! Tap dancing also helps increase flexibility and co-ordination, as well as strength in the legs and feet increased flexibility in the hips, knees and ankles. Tap dancers also develop both mental and muscle memory to become proficient at tapping. Modern Theatre dance has its foundation in Ballet, and uses many of the same movements you would find in a Ballet class. Modern is popular with all ages as it’s a fusion of dance styles and is often danced to pop music. It helps to develop rhythmical movement, turns, jumps and dance combinations in a fun way, building strength, technique and core stability too. The movements are expansive, dynamic and most of all, fun! Children can start Modern from 4 years of age with the Primary syllabus. Classes follow the ISTD graded syllabus. Modern Theatre Dance is a rhythmic dance style which originated in America before travelling to the rest of the world. It is often seen on the stages of musical productions and is known for its theatrical qualities. The style uses travelling steps, high kicks, leaps and turns which all need strength and flexibility. This is an energetic dance style using moods and musical qualities to perform steps and routines. It helps to build strength, technique and core stability too. Modern dance is a more relaxed, free style of dance in which choreographers use emotions and moods to design their own steps, in contrast to ballet’s structured code of steps. It has a deliberate use of gravity, whereas ballet is rigid in its technique. Already registered with SPSD ? 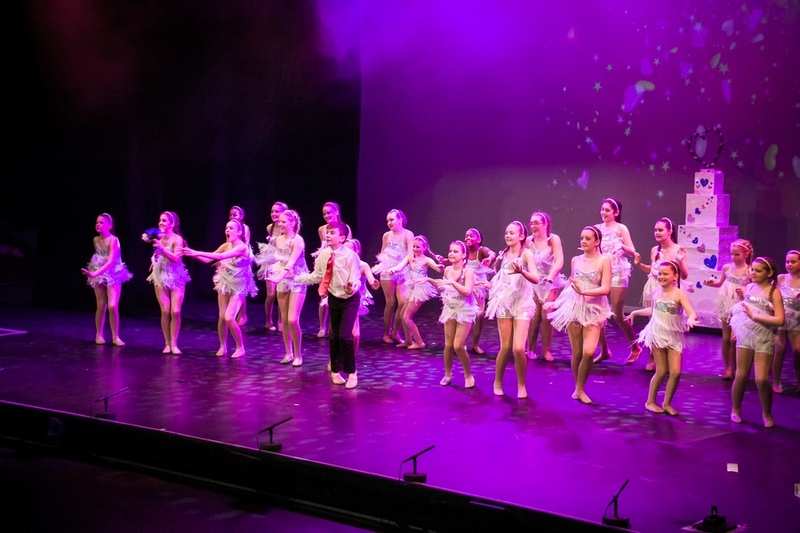 The Stephanie Prior School of Dancing is a Recognised School with the Council for Dance, Drama and Musical Theatre and Tara Prior is a Recognised Teacher. Both have been awarded the Council’s certificate of good professional practice. Schools and Teachers awarded CDMT’s Recognised School or Recognised Teacher Award demonstrate to students, parents and guardians that they adhere to the standards demanded by the industry; standards designed to protect and safeguard young people whether dancing for leisure or with a view to a career in the profession. 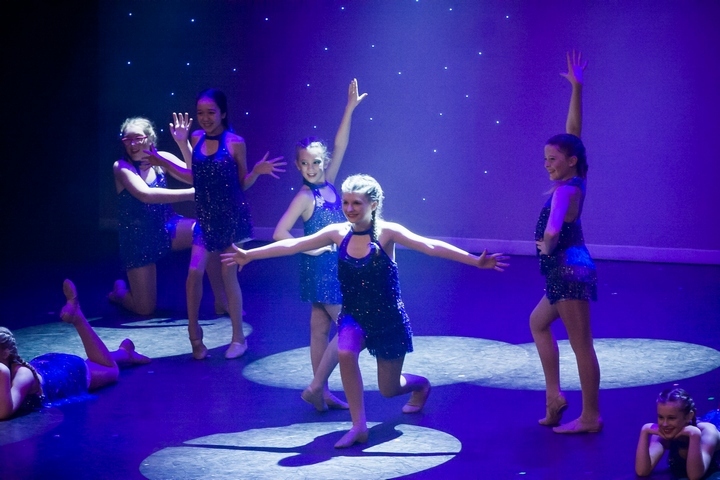 SPSD - The Dance Tuition Solution That Makes Learning To Dance Easy & Fun!